We are an Association with membership approaching 1000. The BOABC primarily represents local government Building Officials and those involved in building design, construction, testing and research. The Building Officials’ Association of B.C. 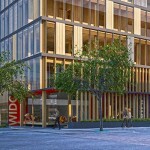 (BOABC) has grown since 1954 from 24 members situated largely in the Greater Vancouver area to seven geographic zones across British Columbia and the Yukon Territory. It fulfills much the same objectives as originally proposed; consistent Code interpretation; a forum for discussion; education, standards of Code knowledge and since 1981, a technical certification program for our membership. BOABC members serve on many provincial committees that review building regulatory issues in the Province of B.C. We liaise with inter-provincial and international councils of Building Officials to bring about greater national and international understanding of harmonization of Codes, acceptance of accreditation, and recognition of commonality of our respective endeavors. We are closely affiliated to our colleagues in the building industry and interact through zone meetings, seminars, executive meetings, workshops, our annual conference and annual general meeting, various association committees, appointments to various building industry committees and provincial committees. In 1985 discussions began regarding interest in forming a Plumbing Inspectors Association. To ensure province wide participation a questionnaire was sent out to all jurisdictions to determine support. The support response was overwhelming and work proceeded. Formation of an association began and on March 19, 1986 the group obtained a Certificate of Incorporation as the Plumbing Inspectors Association (PIA). The first year of operation realized a membership of 108 Active members. PIA membership was province wide and to properly reflect the broad base the name of the association was changed to PIABC – Plumbing Inspectors Association of British Columbia (1987). With a growing membership support the first Conference / Annual Meeting was held April 27 & 28, 1987 at the new Executive Inn Hotel in Richmond. A strong support of the membership resulted in 52 members attending the inaugural conference. Issues raised at the first annual meeting indicated a need for assistance to inspectors with Plumbing Code Training throughout the province and phone lines were expanded. PIABC Membership Certificate #1 was issued to Charlie Code in 1989. In July 1991 the Executive established the PIABC Interpretation manual based on the 1985 BC Plumbing Code. John Neave was awarded the first Life Membership in October 1991. In 1992 lapel pins became available. Founding director Harry Elsdon stepped down from the position of President on October 15, 1993 and was awarded a Life Membership. Many years of work by PIABC members led to the establishment of the Certification Program, a core goal of the Association. The first Level 1 Certificate for the Plumbing Inspectors Association of British Columbia was issued in late 1995 and was based on the 1992 BC Plumbing Code. PIABC members presented 2-day study sessions throughout the Province for anyone wishing to enhance their Code knowledge. In support of the Building Officials Association of BC, a name change to Plumbing Officials’ Association of British Columbia was completed on January 7, 1998. Level 2 Certification study sessions were introduced in 2002 and the first Level 2 exam was written at the POABC Conference in October 2002. After 18 years of service, founding director Charlie Code retired from the POABC Executive as President / Treasurer in October 2003. Charlie was presented with a plaque recognizing his many years of exemplary service and dedication to the Association as well as being awarded a Life membership. Charlie continued to contribute his energy and knowledge by representing the POABC in many capacities, including positions on the NRC Water Pipe Task Group and the BC Building Code Interpretation Committee. In 2008 the POABC was instrumental in establishing the Plumbing and Mechanical Officials Association of Canada (PMOAC). POABC Executive members elected to the PMOAC Executive were David Pope (as President), as well as Gary Johal, Bob Middleton, James Nyhus, Dave Smith and Greg Snider (Executive members). In 2009 the POABC Executive began looking at avenues by which the POABC would remain relevant in the industry in light of the CSA/CIPH Plumbing Inspector Training Initiative. The executive members felt that the best way for the POABC to quickly and cost effectively achieve “Right to Practice” was to explore becoming an autonomous chapter of the BOABC. At the 2010 AGM a motion was passed authorizing Past President Gordon Jensen to act as liaison for the POABC in order to discuss amalgamation with the BOABC. The POABC celebrated their 25th Anniversary with a gala celebration at the 2011 Education Conference in Coquitlam, inviting founding members and Life members to attend. At the 2011 AGM the membership ratified the Memorandum of Understanding between the POABC and the Building Officials’ Association of British Columbia dated June 8, 2011 which was signed on a picnic table in Whitehorse, Yukon at the BOABC Spring Conference. In 2012, the POABC entered into a service agreement with the BOABC by which the BOABC maintained the membership, examination and certification records of the POABC membership. Discussions began with the Province regarding a modernization strategy for the Building Code administration process and it was clear that a professional and accurate record of certification levels for POABC members would be imperative. POABC members participated in discussions with the Province, the BOABC and other stakeholders in the Modernization Advisory Group. As the Province moved towards finalization of the Building Act, a legislated amalgamation of the POABC and the BOABC seemed probable. In order to protect the POABC assets a Special Resolution was proposed and adopted at the 2014 AGM which ensured that POABC assets would be transferred to the BOABC, to be used to provide plumbing educational services to BOABC members who are plumbing officials as required to meet and maintain professional standards, as well as the standards imposed on them by the Province of British Columbia. The Building Act received Royal Assent on Mar. 25, 2015, with expectation that all regulations in the Act being adopted by the Province by March 2016. At the 2015 AGM members voted to adopt the ‘Ordinary Resolution – Dissolution by Request’. In 2016 the POABC entered into an agreement with Camosun College to produce an online level I Study Session, due for release in January 2017. By way of a major contribution of education materials and money to Camosun College, the POABC ensured access to education, training and qualifications to all POABC members in the province. On February 28, 2017 the Province adopt the Competency regulations in the Building Act and mandated that POABC members become members in good standing with the BOABC within 6 months and to become qualified to make decisions based on the BC Plumbing Code within 4 years. April 2017 the first online Level 1 Study Session was offered. The 3 month, self-paced, comprehensive course was full with a 2nd course offered in July. The goal is to proceed with the online Level 2 course by 2018. July 31, 2017 – dissolution of POABC and transfer of memberships and assets to BOABC completed. The following information is presented to explain the safeguards in place for privacy protection and the current reporting relationships, duties, and responsibilities of the Executive Committee, President, other Officers and the Executive Director. 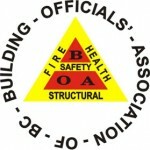 The BOABC is divided into seven zones, each with its own Zone Director. Please click below to view the BOABC Zone Map.